Summary: After tossing and turning in his bed, a little boy embarks on a nighttime quest to find a cozy place to rest. He visits one animal friend after another, from a lark in its nest to a mole in its hole. But while all the animals he meets are happily dozing off, this tuckered-out wanderer remains wide-awake–until he finally finds the perfect spot to lay his head. 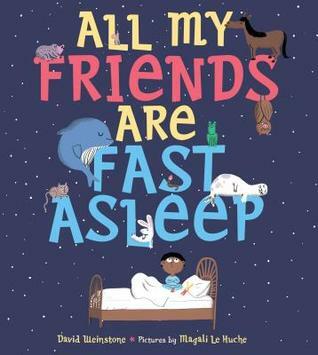 From David Weinstone, the popular children’s musician and creator of the Music for Aardvarks program, comes All My Friends Are Fast Asleep, a rhythmic, cheerily illustrated bedtime story sure to smooth the way to sleep for young insomniacs everywhere. Ricki’s Review: I love books that feature a different animal on each page. This book is different from others that I’ve read because it explores the different ways in which animals sleep. My son enjoyed reading this with me, and he demonstrated each of the animal’s ways of sleeping. It was very fun and interactive. The illustrations are simply lovely. 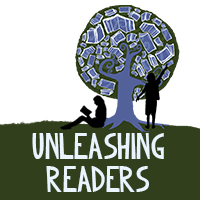 They pop off the page and lure the reader to want to turn the page to see which animal is next. We had a lot of fun with this book—we enjoyed stopping on each page to discuss the animal together. Kellee’s Review: One of Trent’s favorite board books is A Book of Sleep by Il Sung Na which has a little owl that ventures out to visit other animals and they are all sleeping. We talk about the differences between all of the different animals and how different they sleep. All My Friends are Fast Asleep elevates this conversation and will be a great ladder up from the board book. In this book, the young protagonist is having trouble sleeping, so he goes and visits animals to try to sleep how they are to see if it’ll help. In the end, he realizes that the best way to sleep is in his bed, but we, as the reader, in the end have learned about many different animals’ sleeping habits. Additionally, the book ends with guitar chords to accompany the book to turn it into a song–how much fun! Teachers’ Tools for Navigation: Teachers might ask students to pick one animal in the book and research other aspects of that animal’s life. Or, students could find other animals in the wild and draw additional pages of this book. They could compile those pages into a sequel! Visit www.allmyfriendsarefastasleepbook.com for a free download of David Weinstone’s musical version of the text! Discussion Questions: Which is your favorite animal page? Why? How is this animal different from all of the other animals in the book? ; Why does the boy end up in his bed at the end of the night? What other animals could he have found?